So where to now with the $450k Grant? 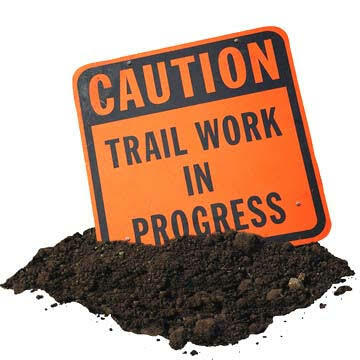 Well now that the dust has settled from the big announcement (a $450k grant for Awaba MTB Park if you are only just waking up from your winter hibernation) we are sure that there are plenty of questions out there about what we will be building and when it will all be done. Rest assured that our volunteer Committee are now hard at work sorting out all the details and this will be communicated to all the eager Club members and riders out there as soon as possible. In fact we are hoping that we can provide a bit more detail of how this project will unfold in early November. But for now we need everyone to be patient and enjoy the Park as it currently is – we even fixed up the worn-out old Murderhorn for you just to keep you excited about what lays in store. – on the flip side this project is not about chewing up every single cent to build just one machine-built flow trail with 6′ berms and massive tabletops – this is about building a more diverse park that is in line with the current trends of MTB’ing, provides a broad range of offroad experiences to an ever increasing crowd base and fits within the beauty of the natural environment we have at Awaba. It is our intention to keep everyone regularly informed of our progress with this project – stay tuned for some exciting updates within the next few weeks. Thanks for the update. A fantastic scoop for MTBiking in our area. Information is fantastic. Can’t wait to be a part of this amazing initiative that HMBA are undertaking.